Bradley Birzer reminds us that J.R.R. 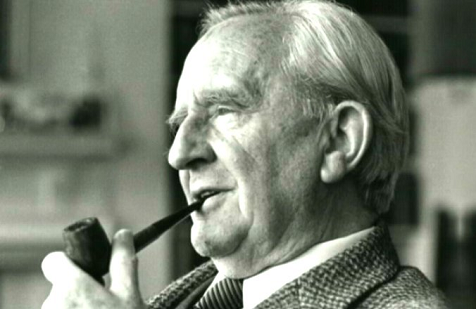 Tolkien’s son Christopher contributed much to his father’s legacy. It took him four years to compile and edit The Silmarillion before it was ready for publication, and other works, from the elder Tolkien’s modernization of Beowulf to the latest work, The Fall of Gondolin, demanded years of patient scholarship. But in the same article, Birzer also points out how J.R.R. Tolkien gifted the world with his astonishing and profound creations, works that grew out of Tolkien’s personal losses and the soul-numbing trauma of war. 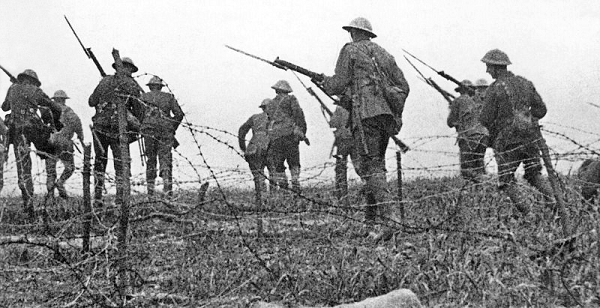 Tolkien’s world-building not only helped him overcome the spiritual and emotional pain caused by his excruciating experience at the Somme, but has inspired countless readers as well. This, I think, is another aspect of Tolkien’s enduring appeal. In an age that threatens to overwhelm us with mindless distractions, we need to remember our connections to those we love in the present and to those of the past who sacrificed so much so that we could live to carry the flame into the future. * Yes, it’s been some time since I posted. I’ve been up to my eyeballs in last-minute edits of my latest book, and am now in the process of polishing it for publication. * The quote about fairy tales and dragons was first coined by G. K. Chesterton and re-worded by science fiction writer Neil Gaiman. Hannah Long gives a well-deserved tribute to J.R.R. Tolkien’s son and literary heir Christopher in the latest Weekly Standard. 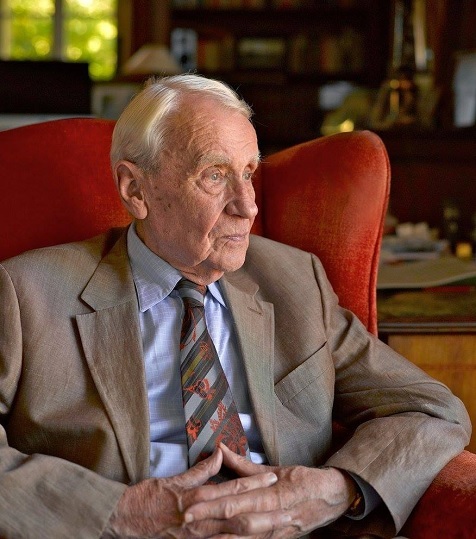 Long’s introduction to Christopher Tolkien’s life work includes insights into what makes the elder Tolkien’s stories so enchanting and timeless. The junior Tolkien’s task was not easy: He had to organize, polish, and edit 70 boxes of manuscripts his father left behind, many stuffed with scraps of poetry, notes, and incomplete short stories. But out of that chaos, Christopher Tolkien harvested 25 works the world would probably never have seen otherwise, including The Silmarillion and a prose translation of Beowulf. The latest, The Fall of Gondolin, saw publication this August. For the Inklings, the medium of fantasy restored—or rather revealed—the enchantment of a disenchanted world. It reinstated an understanding of the transcendent that had been lost in postwar alienation. And isn’t that what attracts us to fantasy fiction? Today, people find themselves in a blur of gadgets, images, and endless consumption that replaces, rather than enhances, human existence. The enduring appeal of the Inklings’ works, as with all good fantasy, is the astounding news that the enchanted dwells with us, that beauty and mystery surround and enrich us even when we’re too busy to notice. Peter Jackson, known for his movie adaptations of J.R.R. Tolkien’s The Lord of the Rings and The Hobbit, promises audiences they’ll experience the Great War as they’ve never seen it before in his latest film, They Shall Not Grow Old. The teaser reveals an astounding technical achievement. Jackson has restored, colorized, and repaired hundreds of original films from World War One to show audiences what it was like to fight and die in that terrible conflict. By doing so, he’s made hundred-year-old images seem real and poignant to modern audiences. I’ve searched numerous articles to see Peter Jackson’s thoughts on the making of this film, and what drove him to do it. I suspect, though I can’t confirm, that Jackson’s latest project grew from his research into the life and work of J.R.R. Tolkien. It was the shocking carnage at the Battle of the Somme, where Tolkien served as Battalion Signaling Officer of the Lancashire Fusiliers, that tormented and inspired the young scholar to capture in fiction the horror — and hope — he’d learned on the battlefield. Tolkien’s way of making sense of what he’d gone through in WWI was to craft a tale that warned of the dehumanizing effect of technology while celebrating the courage and decency of ordinary people. That, I think, is the true power of fantastic fiction, which opens us to a realm of rediscovered and reimagined possibilities thought lost but still within our grasp. Tolkien was right about quite a few important topics. Scientists now know he was also right about the complexity and interconnectedness of our cousins the trees. From Collective Evolution. From Infogalactic: The Hobbit, or There and Back Again is a fantasy novel and children’s book by English author J. R. R. Tolkien. It was published on 21 September 1937 to wide critical acclaim, being nominated for the Carnegie Medal and awarded a prize from the New York Herald Tribune for best juvenile fiction. The book remains popular and is recognized as a classic in children’s literature. What makes The Hobbit and The Lord of the Rings so memorable is that the world Tolkien creates is wondrous, terrifying, and fascinating, yet instantly recognizable. The reader soon discovers that underneath the text, a learned, wise, and benevolent soul is joyfully at play with profound truths. I think Tolkien’s works best illustrate the insight that effective fiction reveals only the tip of the iceberg, stimulating the reader to discover for himself the story’s deeper meanings. Tolkien the scholar was an authority on ancient myths and languages, yet also a modern man who had seen war and knew the dark and bright crevices within the human soul. Tolkien the writer crafted an entertaining tale that guides the reader toward a vision that inspires both caution and hope. The best fiction and writing blog posts from around the ‘net, all guaranteed to make you a literary legend. Compiled by john. Millie Schmidt – Are you a ‘writer in the closet’? In “The Lord of the Rings,” we meet Frodo Baggins and Samwise Gamgee, Hobbits of the Shire, on a fateful mission to destroy the last Ring of Power and save Middle-earth from enslavement and destruction. The heroism of Tolkien’s characters depends on their capacity to resist evil and their tenacity in the face of defeat. It was this quality that Tolkien witnessed among his comrades on the Western Front. Not only did Tolkien’s battle experience give TLOTR its grim authenticity, it also inspired in him a deep respect and fascination for tales of courage and sacrifice. Despite the terrible ordeal that WWI proved to be, its lessons, filtered and interpreted by a skilled writer, are a treasured part of our heritage. Lest we forget.